That was a huge help in assembling all these bear paws. I was ready to cut into my fabrics. Thats a big faux pas... that blasted faux stitching! Next up was the bear. I took a break from piecing all those paws. Oh, how I love the way it's turning out. You know I had to shoot for the biggest quilt in the pattern. I must say, I'm "sew" glad I found these Northcott fabrics. as the fabric is last years collection, and finding it was difficult. I was short about 1/8 yard from the pattern requirements. and a plan in my head, to make this full size quilt fit my king size bed. I'm pretty sure I have enough background fabric to do it! Thanks Lorna for a fabulous pattern and a great QAL! Your bear and his bear paw blocks are gorgeous, Jean!!! 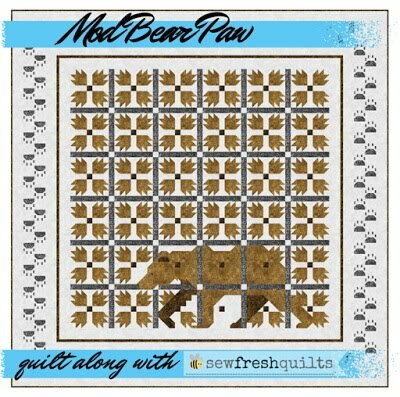 So glad to hear that everything is working out great and that you are enjoying the quilt along! That's you - go big or go home! It's looking fabulous and just love the fabrics. It's looking wonderful, well worth the effort of making all those HST. Well,at least worth the effort from where I'm sitting watching and not making :). That looks wonderful. Love the shading of the bear legs. Your bear quilt is looking amazing. 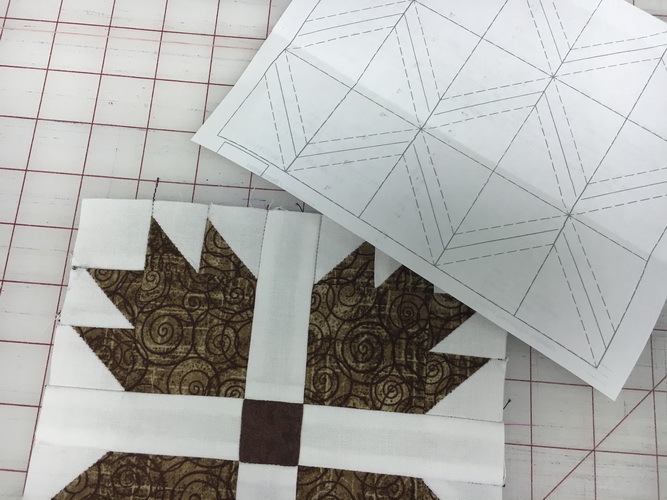 When I learned paper piecing I immediately did a quilt with 4 really hard patterns. lol It was SOOO worth it, though as I love that quilt and I can see you will love this one, too. Here I am still catching up. I am not going to try to count the number of HSTs!! But well done. So pleased the fabric lasted the distance. Your blocks and especially your bear look so wonderful!!! !